December almost end and it’s means holiday’s time! :p You know as a teacher I got advantages when school day off. If student got 2 weeks to spend their holiday’s time, but teacher just got 1 week to spend our holiday’s time. But it’s not bad, I guess. After finished ‘ the report’s time’ that almost made me crazy (cause a few days ago I always back to home late) and after hard worked for finishing some IEPs and checklist daily activities for special needs students, 1 week for holiday it deserve enough for us (teacher). Meanwhile besides planning to go to one to another places, I’m planning to spend my holiday with reading book too. Maybe when in the morning I go to some places and in the night I can read those book. 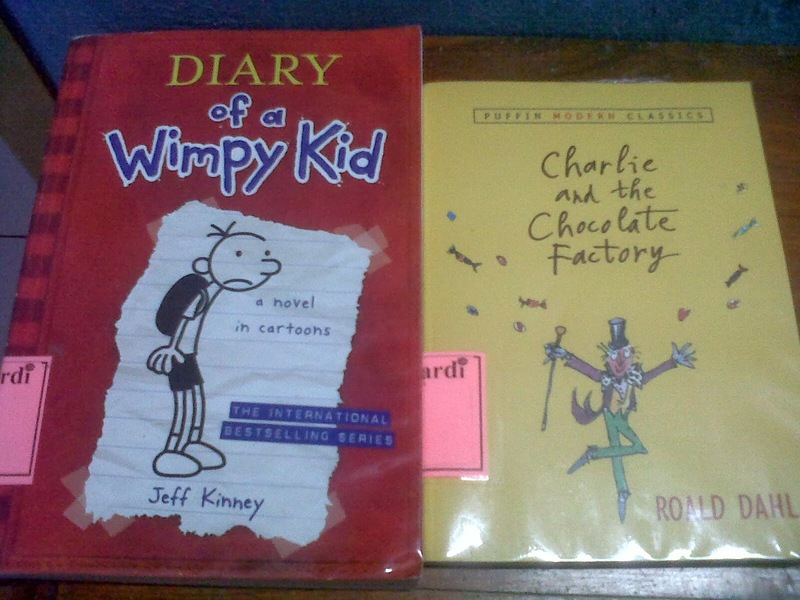 So I decided to borrow some books for school’s library. Yep! Diary of a Wimpy Kid and Charlie and Chocolate Factory. Have you ever read this one? It's Time for Cooking Class! And Life Must Go on!